Thursday 18th June was our 21st wedding anniversary. 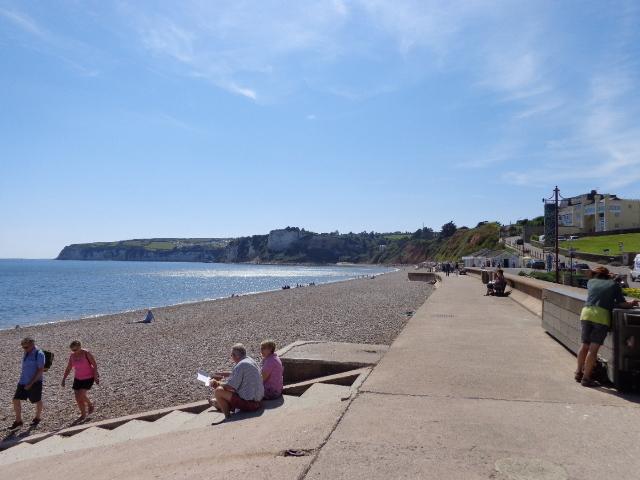 We still had to do some chores in the morning but in the afternoon we went down to the coast at Seaton. 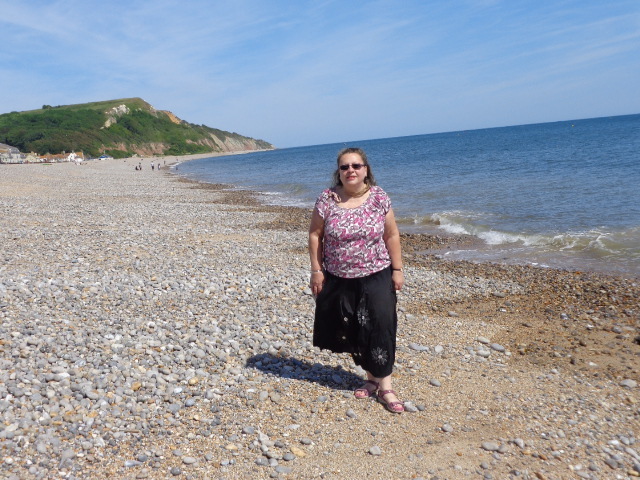 It was the most glorious sunny day and we wandered along the pebble beach. 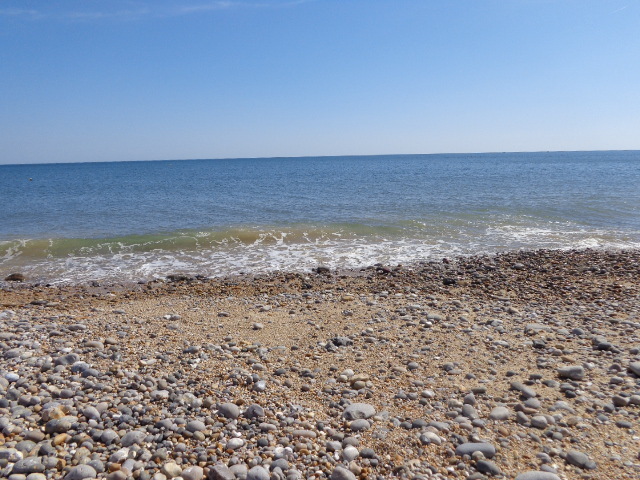 We sat on the beach taking in the sunshine and just watching the sea crashing against the beach. 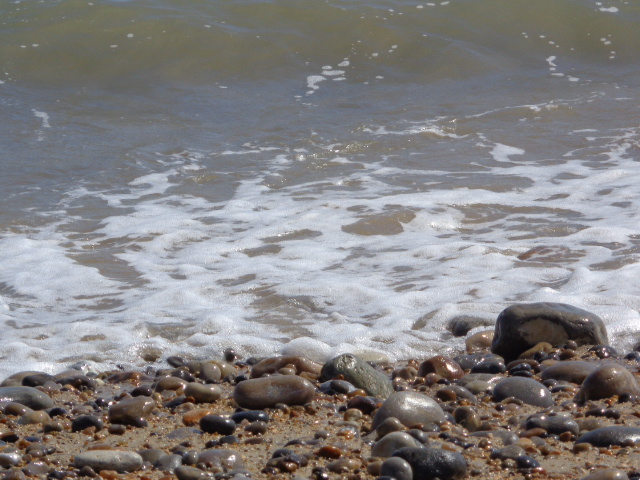 I just love the surf on the pebbles. 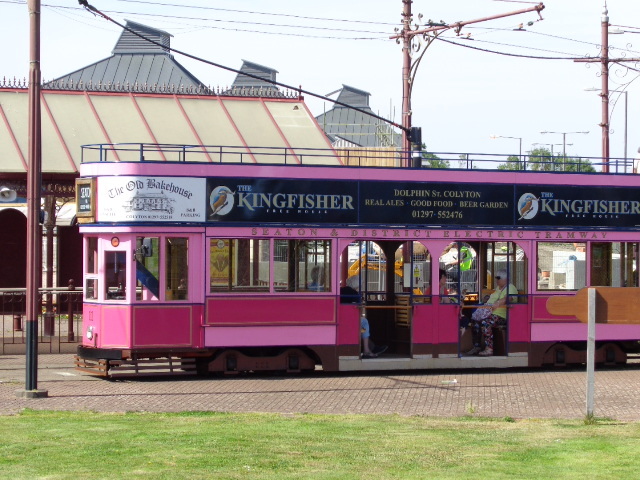 Of course we had to have an icecream!! 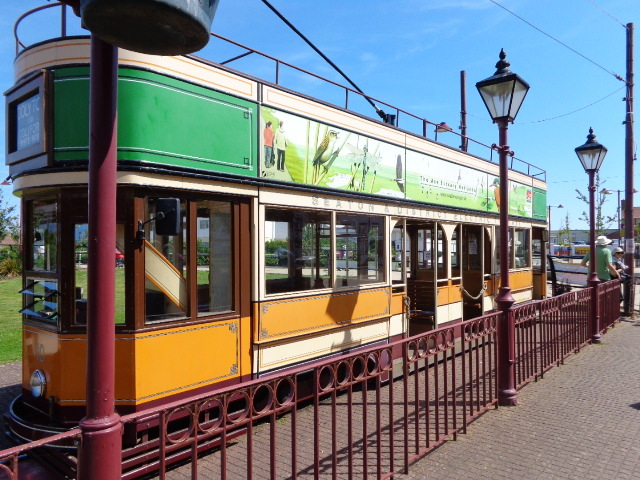 We stopped by the tram terminus. 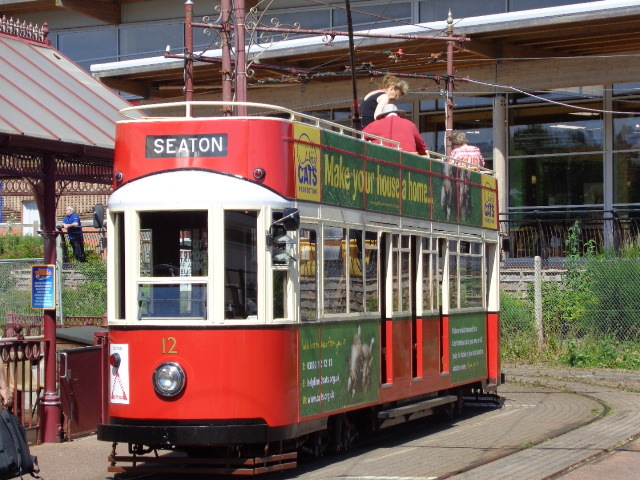 Trams run daily from Seaton to Colyton and back. We must do this one day. In the evening we went to an Italian restaurant called La Bella Luna in Chard for a lovely meal. Great to celebrate 21 happy years together. We found early on that one way of being accepted into a community was to volunteer. So this was our second time at running a stall for the local church fete. 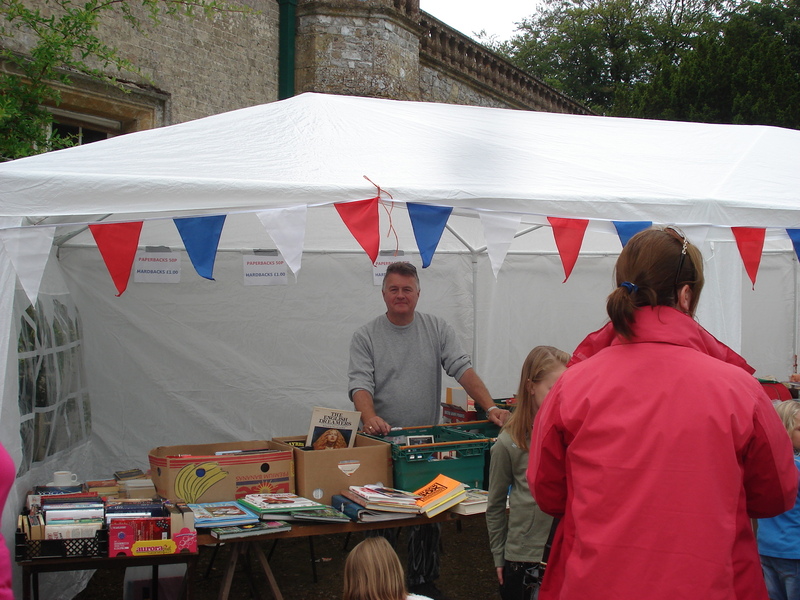 This time it was the book stall at the summer fete today. We had sorted out lots of books ourselves, novels we no longer wanted or duplicates we had bought at boot sales or other fetes. Neil collected 4 trays of books from the lady who ran the book stall last year, and then someone left some in our garage, and another lady turned up at our house with 3 carrier bags full last night. 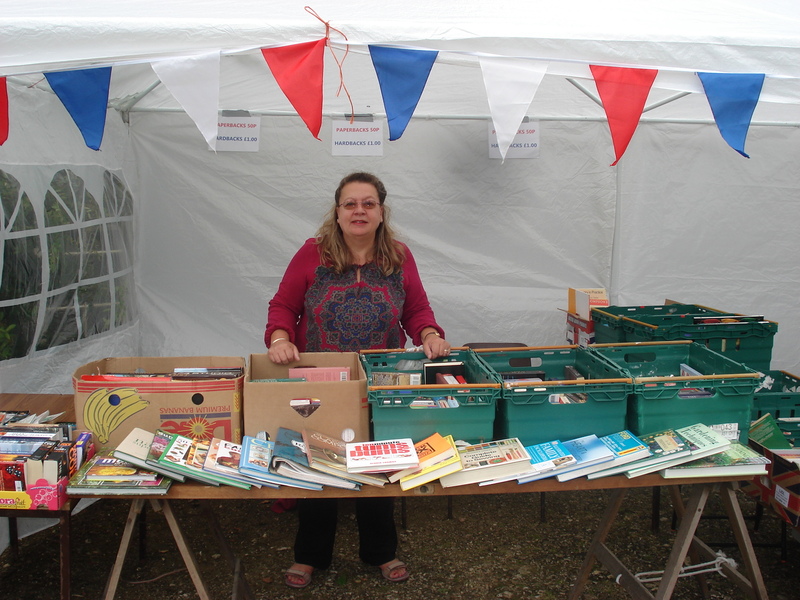 When we arrived at the stall there were another 4 boxes of books, so altogether we had plenty of stock to sell. We managed to take £78.50 so not a bad effort at all. Next door to us was the bric a brac stall that took £120. 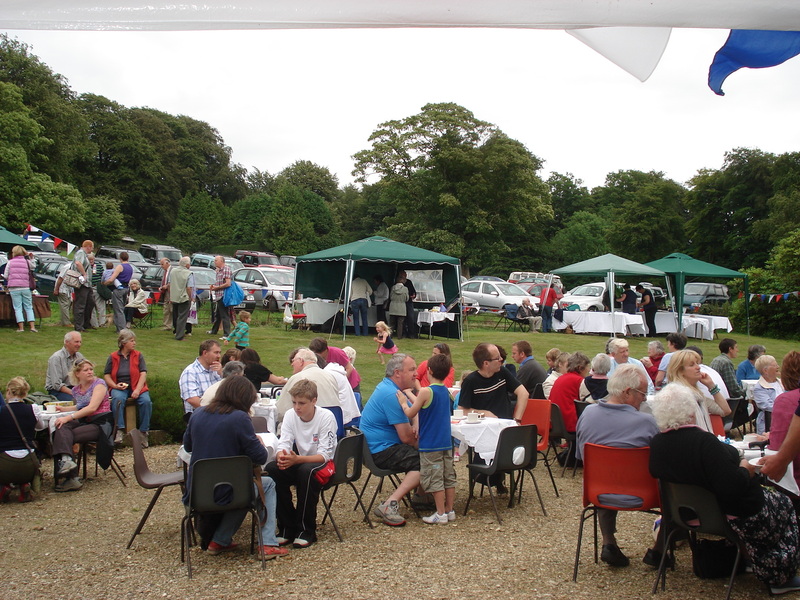 There was a plant stall, cake stall, jams stall, bottle tombola, on which Kathy won a bottle of Apricot Brandy, a raffle, skittles, coconut shy, other tombola and a couple of other stalls. Also very popular were the tea and cakes. The weather held off for us, it was mostly dry and sunny, so all in all a good afternoon. 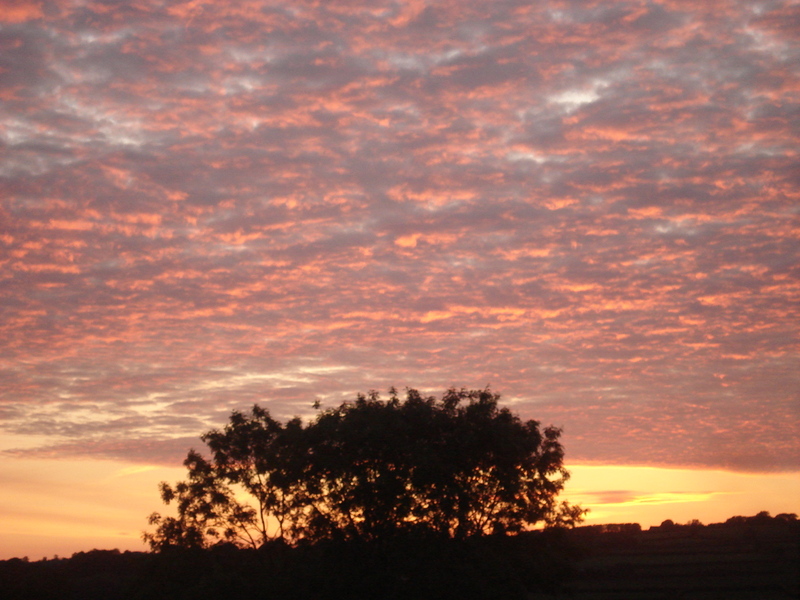 Yesterday evening, after a late dinner, having watched the men’s semi finals in the tennis at Wimbledon, I stepped outside to see the most wonderous sunset. It was such a lovely evening we went for a walk around the little lanes near us, and just pondered on how lucky we are to live in such a lovely place. No streetlights, big sky – wonderful!! 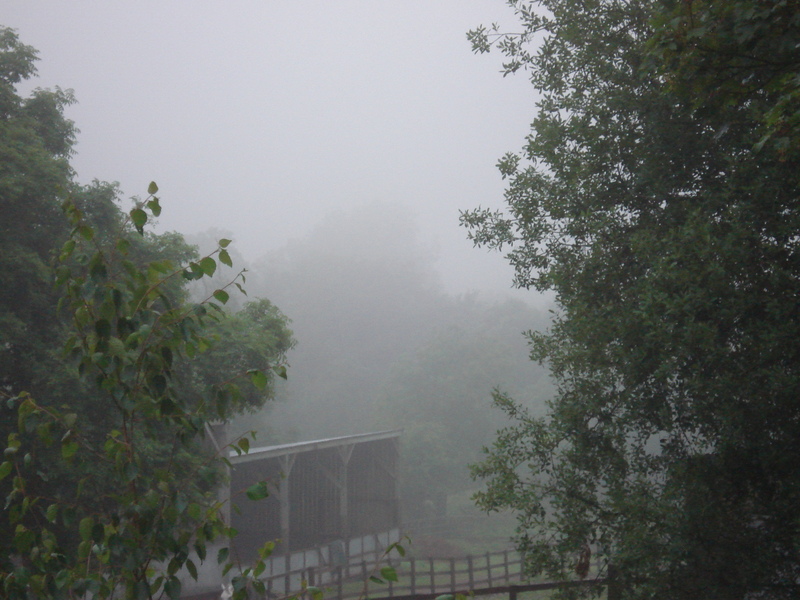 Can hardly believe the weather at the moment. 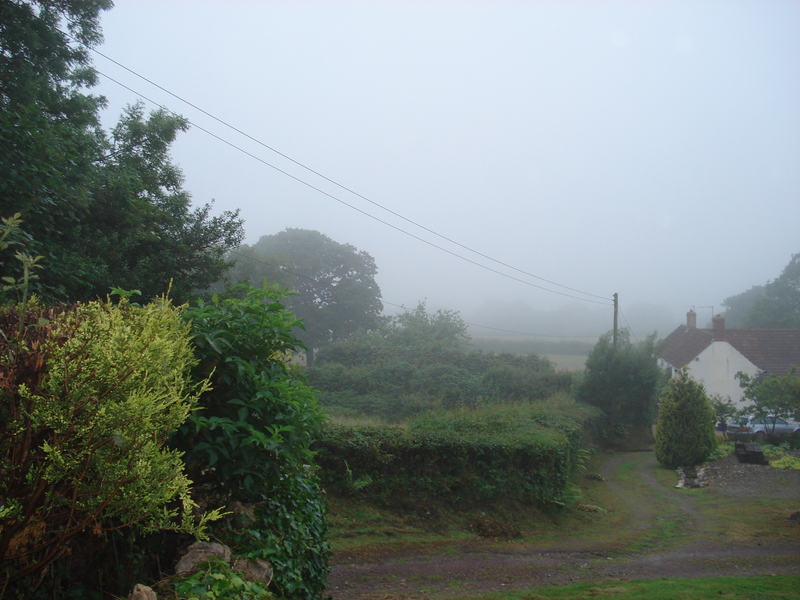 To think yesterday was Midsummer’s Day and I was sat here in a jumper with a cardigan over the top. Our neighbours lit their woodburning stove. I looked out over the back of us and all I could see were the rain clouds, see below. Today didn’t start much better. It rained all morning, and about lunchtime the rain eased off and the sun peeped out for a while. I went to a Strawberry afternoon tea at Stapley today, but luckily we sat in a marquee so were sheltered from the wind. I wish oh wish Summer would come!! !